Nittany Shop With Heart and The Old Gregg School Community & Recreation Center have combined efforts once again to host their 2nd Annual Valentine Country Craft Fair & OGS Winter Farmers Market to Benefit The Penns Valley HOPE Fund. The Penns Valley HOPE Fund directly assists individuals and families in crisis financial need who live in the Penns Valley Area School District. This year's event will be held on Saturday, February 13, 2010, from 10 AM to 2 PM at the Old Gregg School Community & Recreation Center, 106 School Street, Spring Mills, PA, 16875. This bustling with activity local community center is located just off scenic PA Route 45, in pastoral Penns Valley. Along with the OGS Winter Farmers Market, this unique country-style, Valentine theme craft fair will feature live musical entertainment, FREE shopper door prizes, and other activities. As well as a variety of delicious, fresh, locally produced foods and Valentine theme baked goods for eat in or take out, freshly prepared, homemade food and beverages will be offered for sale by The Penns Valley Area School District Cheerleaders Booster Club. This annual benefit for The HOPE Fund will once again feature OGS Theatre Director, Victoria Brennan, as Master of Ceremonies, as well as live musical entertainment by local musicians. More than 40 different craft fair vendors will be featured, including the OGS Winter Farmers Market food sellers, along with many local and regional homemade artisan/crafters and home business vendors. 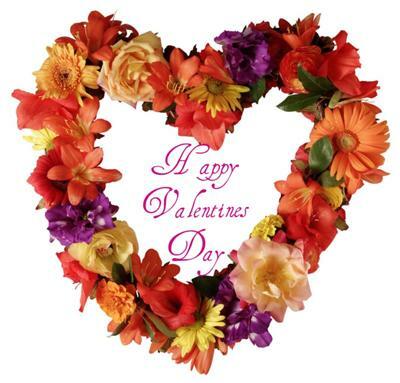 A dazzling selection of Valentine theme gift items will be offered at great prices! Aiming to meet all your Valentine shopping needs, there will truly be something for everyone on your gift list at this well attended country craft fair, including your pets! Last year's Nittany Shop With Heart Valentine Craft Fair & OGS Winter Farmers Market to Benefit The HOPE Fund was a huge success. Supporters came from all around the county and beyond to help raise much needed funds for Penns Valley individuals and families in critical financial need. Organizers hope to garner even more awareness and financial support for The Penns Valley HOPE Fund with this year's Valentine Country Craft Fair & Winter Farmers Market. For more information please contact Robin Bastress at The Old Gregg School Community & Recreation Center at (814) 422-8582 or Cathy Walton at shopwithheart@aol.com. Don't miss this very special OGS Winter Farmers Market and Valentine Country Craft Fair ... When You Shop With Heart To Benefit Those In Need, You'll Discover That Shopping Never Felt So Good! Unable to attend, but you would still like to support this worthy cause? I'm so happy to see you are having your second annual Valentine Country Craft Fair & Winter Farmers Market and in a very small way I can be part of it. I just love to see communities like yours pulling together to take part in such worthy events to help local families in crises and animal rescue projects. I sincerely hope visitors to this website that are unable to attend this event will take a moment of their time and visit your website and donate what they can to such worthy causes.